Meet Beeyoutiful’s New Soap Maker! We’re introducing several new soaps handcrafted for us by Lisa Dzimianski. Here’s the story of how she learned her skill. In 1999 our family bought registered dairy goats in order to have our own milk source. The goats we fell in love with were an all-white breed of dairy goat called Saanens. They just happened to be registered animals, so that fall (since we had learned how to show goats in 4-H) we decided to take our animals to the dairy goat show at a nearby fair. At the end of the day, we came home with First Place ribbons in every showmanship class we had entered, and a Reserve Grand Champion ribbon in the conformation classes. With our success that day, the goat-showing bug bit. Over the next several years, we traveled all over the Southeast, showing our dairy goats at different fairs. We also competed a couple of times at the national level in both youth events and goat conformation classes. When I was about sixteen, I wanted to find a way to make a little extra money doing something besides babysitting. That fall at a fair in Florida, I saw some of our friends who made and sold goat milk soap, and realized that was one way I could use the resources we had (goat milk) to make some income. I began studying the ins and outs of soap making (thanks to my sister, who had already purchased books on the subject and then decided not to pursue it), but it took me a couple of years before I actually got up the courage to try making soap. I also hesitated because I had to dish out money for the starting ingredients and equipment, plus find the ingredients I needed! Finally, in 2008, I made my first batch of soap. It was different than the soap we were used to using (and my family made jokes about it being really slippery), but it was really moisturizing. That summer I made a few more batches for our family and got a little more comfortable with the process. The next year I began expanding my line up, perfecting my recipes, named my business, and learned more efficient methods of making soap. I also sold my first bars of soap that year. 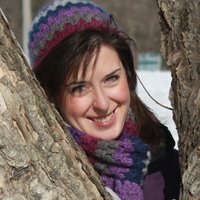 The following year I began selling soap at a small local farmers market, and in 2012 I began selling goat milk soap at the Athens Farmers Market, the biggest market in our area. Since that time I have seen business growth and have found loyal customers who always come back to my products. I am grateful for the new opportunity this year to begin working with Steph (whom I’ve known nearly my whole life), Steve, and the rest of the Beeyoutiful team by producing goat milk soap for them. One of my favorite things about soap making is the ability to control what goes into the soap (which eventually goes into the skin). I enjoy researching the benefits of different ingredients and how they affect the skin. I keep you, the consumer, in mind as I make my soaps; my goal is that you will find them to be products that meet your skin care needs! See all of our bar soaps, including Lisa’s Summer Days and Clearly Gentle, here. One summer day she had her baby in the backpack and was walking in her backyard. Her twelve-year-old son who was a few steps in front of her pulled back the metal clothesline to duck under it, not thinking that mama and baby were behind him. He let go of the line which immediately flew back and struck the six-month-old across the cheek. It lacerated the skin which instantly grew inflamed and bright red, swelling before their eyes. There was a thick welt in the shape of the clothesline and bruises were forming rapidly. Mama didn’t know what to do and was in quite a panic (so was the screaming baby). She then thought of the little salve container that I had left without much explanation as to its usage. She packed the green goo generously on the little one’s cheek not thinking it could possibly help this horrible sight. But as she watched the wound over the next day, the healing power of the salve became more evident. The bruising disappeared. The inflammation subsided. The clothesline mark was still there, but faint. Healing was well underway-with no sign of infection. She related to me her awe that the bruising seemed to just disappear. It was a small miracle. Another friend of mine who has two older sons is one of my very best product testers. She is the one person I can trust to try my products on every imaginable ailment-even problems that I wouldn’t have suggested using the product for. Even so, she discovers new practical uses for various herbal concoctions all the time. 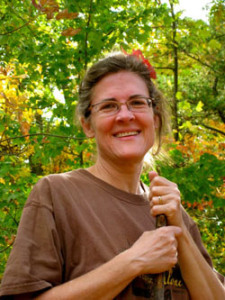 She says that Miracle Salve works great on chigger bites, mosquito bites, kitchen burns, rashes (although not those that are a side-effect of prescription drugs) and certain face blemishes, but not acne. From my own experience with my four children, I can say that I’ve observed it to work great on scrapes, bruises, burns, sliver sites (sometimes they get little embedded slivers which they don’t want removed with a needle), dry wind-chapped skin and lips, diaper rash, and mosquito bites. My two-month-old had a horrible face rash that I think might have been yeast related, which seemed like it would never go away. Yeast can’t thrive without moisture, so I experimented by lightly coating her face with Miracle Salve. Now I can’t prove that she had a yeast infection, but after applying the salve for two days, the rash went away and did not return. It is my theory that the oil and beeswax formed a vapor barrier which starved the “yeasties”, while the propolis inhibited infection from spreading. The comfrey and plantain nourished the skin and sped healing–as they are both famous for doing. Miracle Salve is excellent for hemorrhoids because of plantain’s cooling action. It has also been observed to reduce scarring after extreme staph. infection (applied daily for approx. 2 months) and after skin cancer surgery (applied daily for 3 months). The beauty of this product is that you will probably find new uses for this salve that I’ve never even thought of. 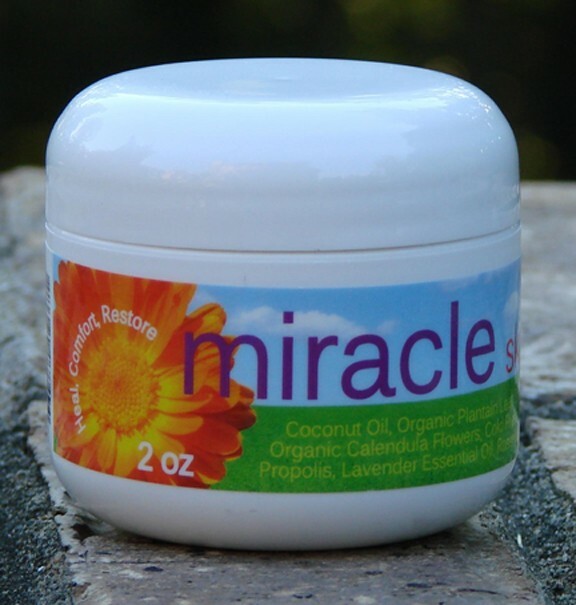 Does Miracle Salve really work miracles? You’ll have to see for yourself. A note of caution: Although I have never heard of any adverse reactions to this product, it is always wise to test any product on a small patch of skin before going hog wild. This will let you know if you have any sort of allergic reaction to any of the ingredients. So how does Miracle Salve work? There is so much to know about the incredible ingredients in its formulation, but a brief explanation will have to suffice. Read more about any of these ingredients at the library or online-the sheer volume of beneficial properties is staggering. Coconut oil: Is known for its skin-softening qualities. Coconut oil strengthens connective tissue, reduces free radical production, and contains high levels of special fatty acids that boost the immune system. Beeswax: Our beeswax is bright yellow, sweet smelling, and collected by local beekeepers. It is the natural alternative to all petroleum-based waxes which have numerous toxic elements known to be harmful to humans. Certified organically grown comfrey root: This herb has a long, rich history and is also known as “bone-knit,” as it well should be. Comfrey speeds healing to skin abrasions as well as bruises, bone breaks and fractures. The leaves can be used to make poultices. My knee was once hit by a heavy weight. It turned every shade of green, yellow, purple and blue you could imagine. I pounded fresh comfrey leaves until they were damp and packed them around my knee, securing them with an elastic bandage. Within a day, the knee hardly hurt and had no bruising…a truly amazing herb. Certified organically grown plantain leaf: Plantain spells relief. My four children will agree. All but the newborn can identify it wherever we go, and they have many times served their brother or sister who was stung by a bee or wasp by running to the nearest plantain plant, ripping a leaf off, chewing it up, and smacking it onto the sting. It usually only takes a minute to feel the relief that plantain brings. Plantain is an astringent and works by drawing out infection, venom, or sting from burns. It also works wonders on diaper rash. You can even apply the masticated leaves directly to baby’s bottom for relief you will be sure to notice! Calendula: Gentle, healing and emollient, calendula is wonderful for rashes, skin inflammation, and dry, sensitive skin. Propolis: Also known as bee glue, propolis has strong antibiotic, antioxidant, and antiviral properties. It promotes wound healing, fights bacteria, and is useful on various skin infections. Lavender essential oil: Lavender is known as the Swiss Army knife of the herbs. Few match its abilities. It is an antiseptic, antibacterial, antispasmodic, sedative, diuretic, and calmative. It is very useful in treating minor burns. Rosemary essential oil: We have included rosemary in this formula because of its power as a natural preservative and for its pain relieving qualities. I can remember many times as a little girl being laid up in bed feeling horrible. You know the routine-aching body, stuffed-up nose, so congested I could barely breathe, let alone sleep. Then, in would come my mama with soothing words, a hot water bottle, and the relief that only Mentholatum® or Vicks® Vaporub® could bring. She would slather it on my chest, throat, back, and under my nose and then tie an old paisley handkerchief loosely around my neck to hold in the warm sensation and vapors. My body relaxed, and my nose cleared just enough to drift off to sleep. As I aged, I continued to use Vicks® when I was in need, but the more I learned about the awful side-effects of petroleum on the body, the worse I felt about continuing to use it and a multitude of other “body products” and topical medications. Most cosmetics, like Vicks® , are either petroleum-based or contain some petroleum by-product. So, what’s so bad about petroleum, anyhow? For starters, petroleum-based cosmetics and skin care products have been found to contain the cancer-causing chemical 1,4-dioxane. Products ranging from body lotion to lip balms, hair-relaxers, baby soap, and Vicks® contain this and a multitude of other cancer-causing impurities. So instead of continuing to slather myself and my family with petroleum-based vapor rubs, I decided to create an all natural alternative that I could feel good about using. Every ingredient is simple, safe, and effective. Instead of using petroleum as a base, Winter Breeze vapor rub uses beeswax, extra virgin olive oil, and coconut oil. 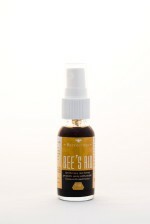 This all natural base will soothe, nourish and heal your skin. Eucalyptus, menthol, tea tree, camphor, and wintergreen essential oils work synergistically to help clear the head and sinuses, thereby relieving congestion, headaches, and pain around the eyes and face. They also have amazing antiseptic properties that help prevent infection from occurring. 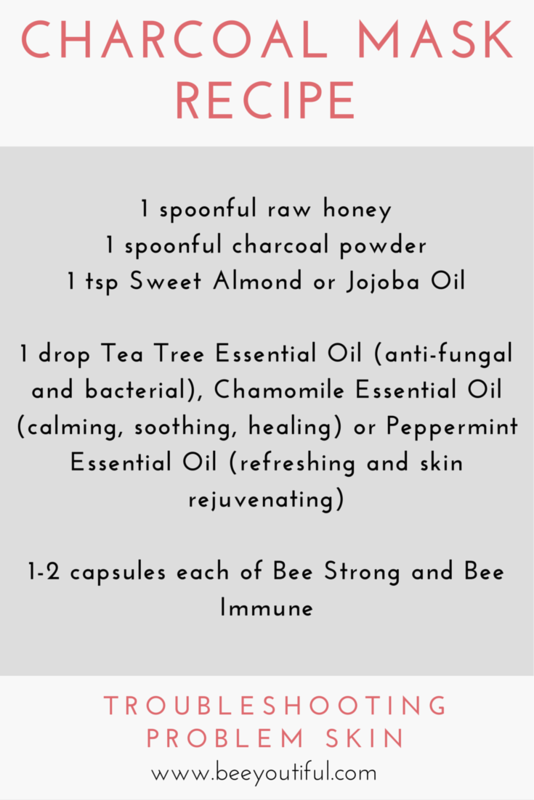 In addition, tea tree and eucalyptus contain immuno-stimulant properties to boost the body’s natural defenses. With all this, who needs the toxic chemicals found in Vicks®? Winter Breeze has all of the good stuff and none of the bad. Use it liberally, and do remember to use an old paisley handkerchief or other soft, dry cloth to hold in the vapors. Winter Breeze can be rubbed on the soles of feet and is safe enough to use a small amount on babies. It also makes a great rub for mild aches. I hope none of us need it this winter, but when the inevitable cold comes, it’s nice to know that there is a safe, effective alternative to reach for.